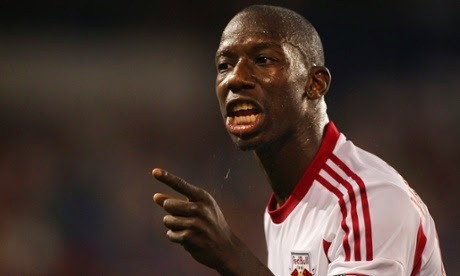 Most people know Bradley Wright-Phillips as the younger brother of Shaun Wright-Phillips or as the son of Arsenal legend Ian Wright. For those living in North America or that follow MLS, you are starting to know him as 2014 MLS MVP candidate. 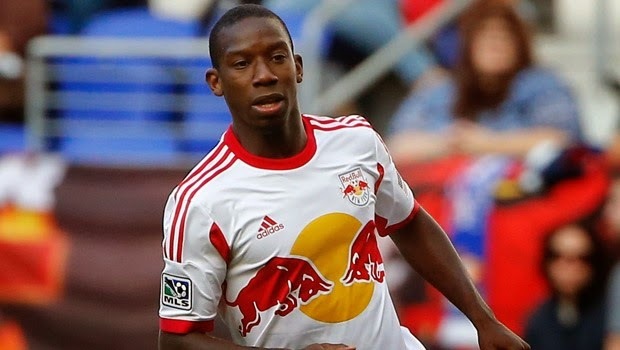 Wright-Phillips joined the New York Red Bulls on July 24th 2013, midway through the MLS season but still in time to be a key contributor and help them win the Supporters’ Shield, but it wasn’t until the 2014 season that Wright-Phillips would really start to gain his space and become a household name on this side of the Atlantic. He came off the bench during New York season opener to score a lonely goal in a 4-1 defeat to Vancouver. Not the start that his team wanted, but his scoring off the bench in that first game was perhaps a prelude of what was to come for the speedy forward. New York would struggle for the first month and a half of the season and coincidence or not their second win came against Houston Dynamo with the help of a hat trick by Wright-Phillips in a 4-0 win. He was finally starting to show his potential and turn some quality performances into goals. As his confidence grew so did his scoring and ability to not only put balls in the back of the net but help his team become more dangerous in the last third of the field. He would even score in games that had no impact in the MLS standings like the winner against his dad’s old team Arsenal, or the goal that tied the game against Bayern Munich during the MLS All-Star game and what a goal that one was. That was absolute class and incredible finishing. If people at that point were still wondering who he was or what he could do I think that goal removed all doubts. Going into that match Wright-Phillips had already 18 goals in 21 games, so it was hard for anybody that follows MLS to not have noticed his incredible season, but that goal, against that opponent on that stage, solidified his status of goal scorer in this league and gave both him and New York Red Bulls international projection. This included rumors of him perhaps being a target of European clubs during the summer transfer window. Not since the days of Juan Pablo Angel had New York Red Bulls or MLS seen such an incredible goal scoring performance by one of the leagues perhaps less known superstars. This past weekend he scored his 19th and 20th goal surpassing Juan Pablo Angel’s club record for most goals scored in a single season. This is another incredible acolyte for this season’s most valuable player. Yes, I do believe he is indeed the 2014 MLS MVP. Sure he is not a big name DP like Henry or Beckham, but his performances have eclipsed some bigger names currently making their career in the MLS. New York Red Bulls will go as far as Wright-Phillips is able to take them, and considering how he has performed this season I would not be surprised if he takes them to the MLS Cup final and earns a well-deserved MVP in the process. Surpassing Juan Pablo Angel is an incredible achievement, but I don’t see him stopping there. His goals will continue to come, his passes, assists and incredible play will continue to help New York and Wright-Phillips will soon be able to hold that name on his own without any association to his brother or father.